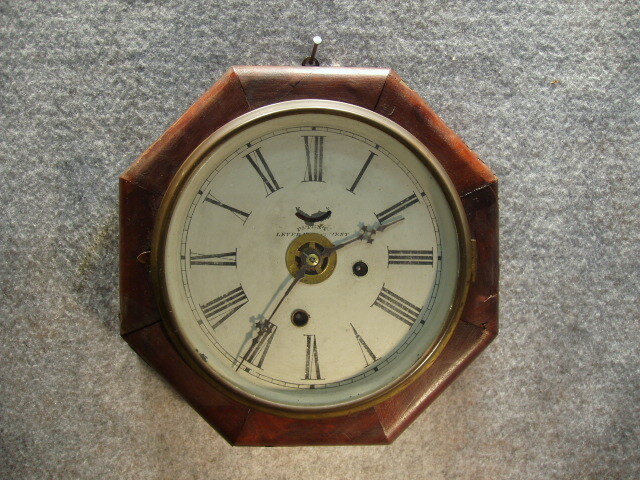 30 Hour "Octagon Lever" Wall Clock Made By The Waterbury Clock Co., Waterbury, Conn., Circa 1870'S. The Movement Has A Built In Alarm. The Dial Is Excellent, And Is Stamped "Patent Lever Escapement". There Is A Partial Label On The Case Back. The Glass Is An Older Replacement. The Hands Appear To Be Original. The Rosewood Veneered Case Will Need Major Re-Veneering. Height 11" X Depth 3"